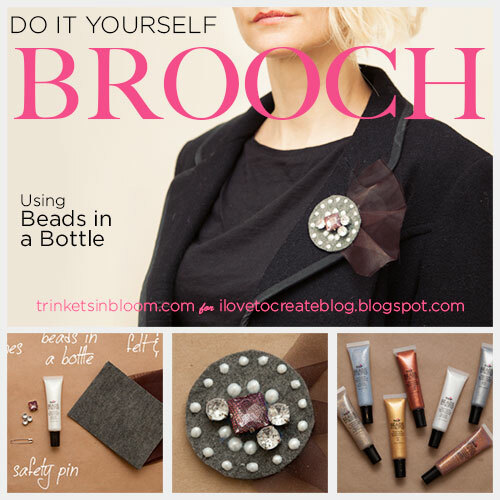 A fun mix of materials and a cool new way to make your own beads, this DIY Brooch using Tulip’s Beads in a Bottle adds sparkle and glamour to your outfit. 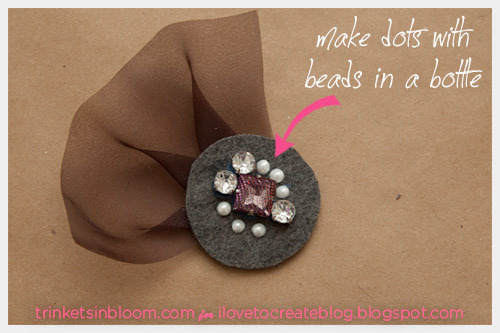 Check out the tutorial to see how easy it is to make your own “beads” on most any surface. 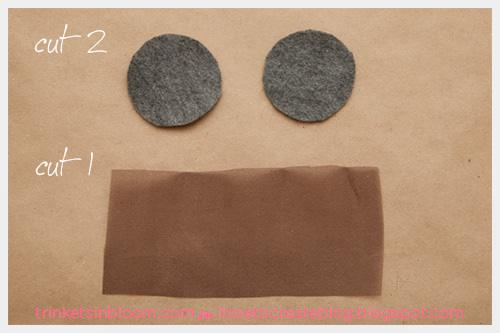 Cut out 2 circles in your felt. I made mine about 2 inches in diameter. Cut a small rectangle out of your tulle fabric. Mine is 6 inches by 3 inches. 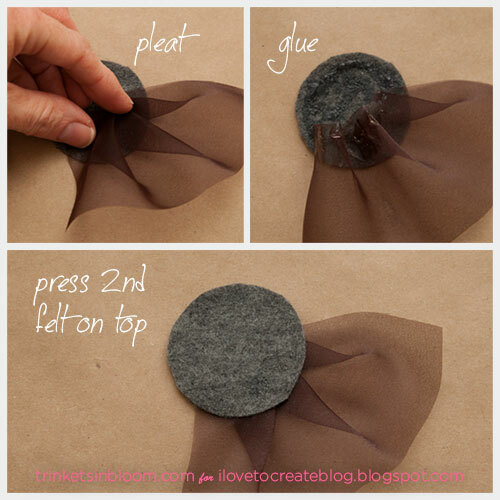 Fold pleats in your tulle fabric and glue it to one of your felt circles using your fabric glue. 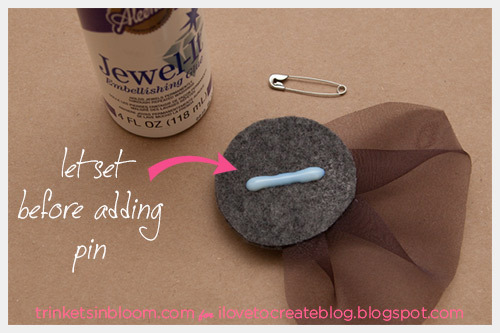 At the same time add more glue to your fabric circle and glue your second felt circle on top of the first one. Press it together with your fingers. Decide where you want to put your rhinestones. 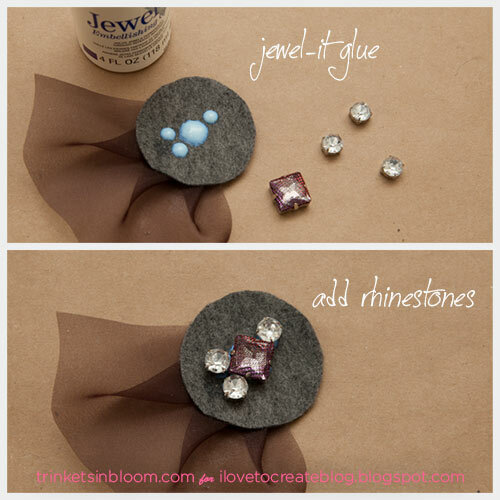 Using your Aleene’s Jewel-it glue, put drops of it where you want to place your rhinestones. If the backs of your rhinestones have metal it’s best to wait and let the glue set for about 10 minutes. 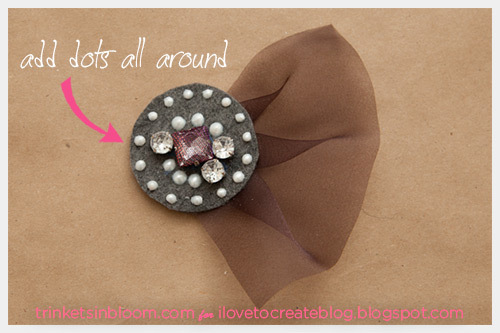 Then press your rhinestones into the glue and let dry. Using your Beads in a Bottle, holding the tube vertical (not at an angle) squeeze small drops onto your felt where you want your “beads” to be. Make your drops a little larger than you want your “beads” to be, they will shrink up a bit when they dry. Once you’ve finished all your “beads” let them dry. 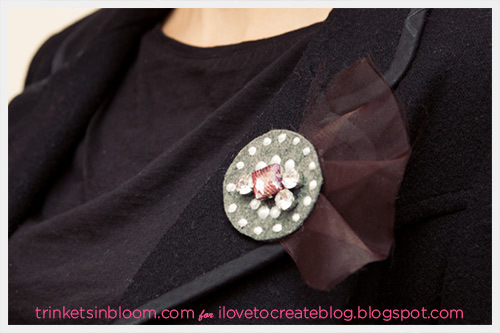 Turn your brooch over and make a line with your Jewel-it glue across the center back of your brooch. Let it set for about 10 minutes and then press your safety pin into the glue. You’ll probably need to hold your safety pin in the glue for a few minutes for it to hold and not fall over. As cool as it looks to add lots of beads to our clothing or accessories, sometimes the idea of sewing them all on or trying to make them stay with glue is just too much! 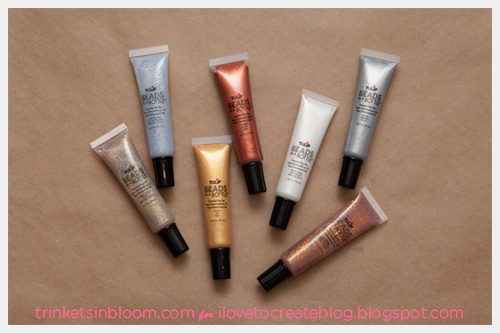 So I was really intrigued with this product from Tulip “Beads in a Bottle”. At first it may seem a little silly or even tacky “Beads in a Bottle”, but I was so happy with the way they turned out and it’s super easy! I used the ‘white pearl’ color to give the effect of pearls, but it comes in lots of colors for whatever you want to make. Once they dry they’re really stuck on there, so you don’t need to worry about them falling off. In my honest opinion Tulip’s “Beads in a Bottle” is a really cool product. I have so many ideas for other ways to use this. It would be perfect for adding “beads” to shoes or bags. Think of all the time you’ll save! 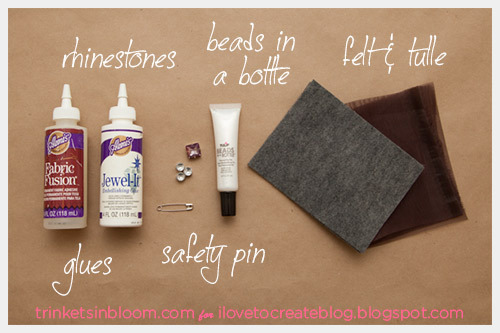 To see more fashion DIY tutorials please check out my blog Trinkets in Bloom!